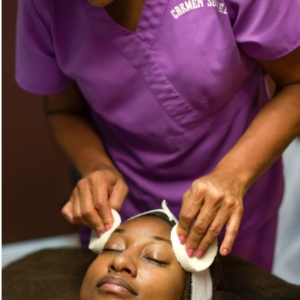 A facial is the best way to take care of your skin. Your facial service starts with a personal consultation and a detailed analysis of your skin type. Then I select and apply the professional skin care products specific to your unique needs. The end result is a more youthful, vibrant complexion. 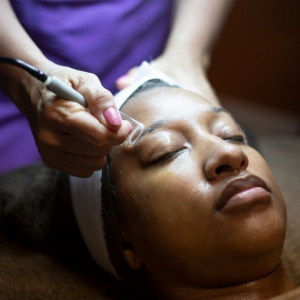 Also, it is important to know that facials are not just for aging skin. It is very beneficial to have a facial routine early in life, in that way the aging process is slowed down earlier and your youthful skin achieves a longevity well into adulthood. A good facial routine will balance the oil and moisture of the skin, clear clogged pores, manage acne, remove dead skin cells, and help to improve fine lines, wrinkles and uneven skin tone. Because you deserve the best I am certified with one of the leading lines of skin care products in the industry, made in the USA, PCA Skin. To me, there is nothing better than a happy, relaxed client with glowing skin. One hour of blissful relaxation. It is a basic European facial, which includes Cleansing, Exfoliation, Facial massage, Steam, Mask, Hand massage, Eye gel, and Moisturizer. This is the basic European Facial with the addition of Desincrustaion, which is the use a special solution to facilitate deep pore cleansing. During this process, galvanic current is used to create a chemical reaction that emulsifies or liquefies sebum and debris, which can then be effectively removed. As we age our skin dehydrates and loses it's firmness and radiance. This treatment uses a special Serum that replenishes the skin's natural moisture and stimulates the production of collagen, for a more youthful appearance. A condensed version of a spa facial. A quick touch up for that special occasion in between your regular facials. It is also the most popular for teens or preteens so they can start a good routine at a early age, giving them a great beautiful complexion. The PCA peels are viewed as the gold standards in the Industry. PCA SKIN was the first company to develop and market the modified and enhanced Jessner’s peel. These products have been designed to treat conditions such as, acne, aging skin, sensitive skin and hyper-pigmentation. This professional line of treatment products is sold exclusively to PCA SKIN Certified Professionals, ensuring safe and effective application every time. For best results a series of peels is recommended. Make an appointment for your free consultation.